Plasmodium Berghei Vaccination Platform in FRG Mice | Yecuris FRG: humanized animals and human hepatocytes platform for your next great discovery. A vaccine for malaria is urgently needed, but current trials have not yet led to a highly effective vaccine candidate. 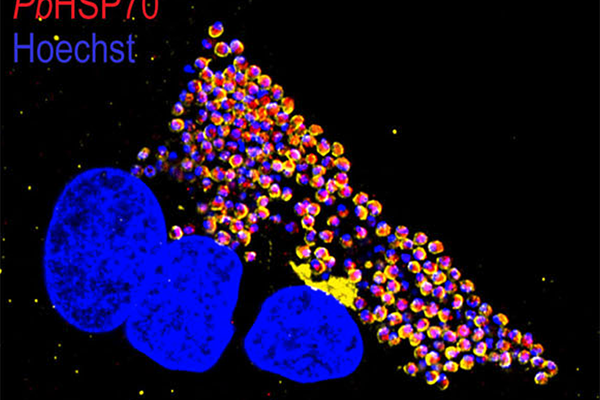 In this article, Mendes and colleagues propose to use a rodent malaria parasite as a platform to deliver antigens to the immune system. Plasmodium berghei has been extensively used to study malaria infections. This parasite infects a wide range of primary hepatocytes from different species and cell lines, but is limited to rodent red blood cells for the blood stage. After gene editing the parasite to express Plasmodium falciparum antigens, the researchers induced antibodies in rabbits and showed that the liver humanized FRG mouse can be infected with this parasite, that the parasite shows no preference for human or mouse hepatocytes, and that antibodies induced in rabbits can prevent infection with P. falciparum. This was a necessary proof of principle to show the efficacy and safety of this novel vaccine candidate. As a next step, it will be tested in humans. There is a pressing need for safe and highly effective Plasmodium falciparum (Pf) malaria vaccines. The circumsporozoite protein (CS), expressed on sporozoites and during early hepatic stages, is a leading target vaccine candidate, but clinical efficacy has been modest so far. Conversely, whole-sporozoite (WSp) vaccines have consistently shown high levels of sterilizing immunity and constitute a promising approach to effective immunization against malaria. Here, we describe a novel WSp malaria vaccine that employs transgenic sporozoites of rodent P. berghei (Pb) parasites as cross-species immunizing agents and as platforms for expression and delivery of PfCS (PbVac). We show that both wild-type Pb and PbVac sporozoites unabatedly infect and develop in human hepatocytes while unable to establish an infection in human red blood cells. In a rabbit model, similarly susceptible to Pb hepatic but not blood infection, we show that PbVac elicits cross-species cellular immune responses, as well as PfCS-specific antibodies that efficiently inhibit Pf sporozoite liver invasion in human hepatocytes and in mice with humanized livers. Thus, PbVac is safe and induces functional immune responses in preclinical studies, warranting clinical testing and development.